Digging into one of the well-known place in North Jakarta: Izakaya Kai. Brief explanation, this Japanese restaurant is one month old baby from Chef Andhika Maxi, Karen Charlotta, and Tempura Master Hitoshi Kimora. Sounds familiar? Yes, they're the masters behind your favorite western food and fancy cakes at Union and AMKC. 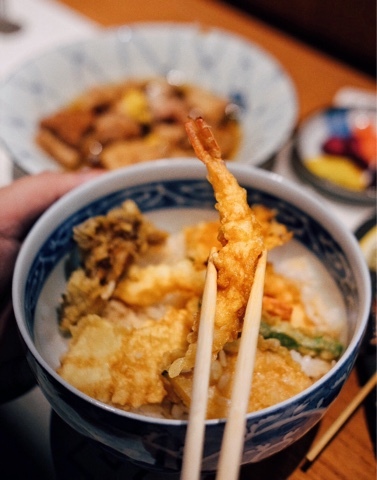 Knowing that they're exploring their area in Japanese food field, with the tempura master itself, excites me a lot to dig the goodness they offer. Located in the Pluit area, North Jakarta, this hidden gem is not hard to find. Basically they're separated into two different storey: they first one is for easy Western food, the second one is for Japanese cuisine. Place is pretty, comfortable, with open bar for the Japanese section and off course displays of pretty cakes for the Western section. Drooling me much! Service is friendly, although they're still having those crowded weeks, it's fast and sprightful. 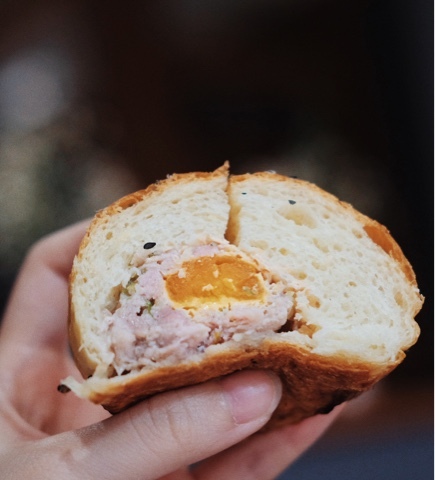 Open my feast with brioche bun, one soft bun with flavorful minced pork. Tempura set is one of their favorites, looks like everyone is enjoying their own on every table. Pork belly, reminds me of Chinese style of pork belly, is tasty and juicy. No wonder, this goodness has passed its 8 hours cooking time, must be delicious! Yakitori is offered in several styles, and I do recommend to have their tebasaki (wings) and tsukune (chicken meatballs). 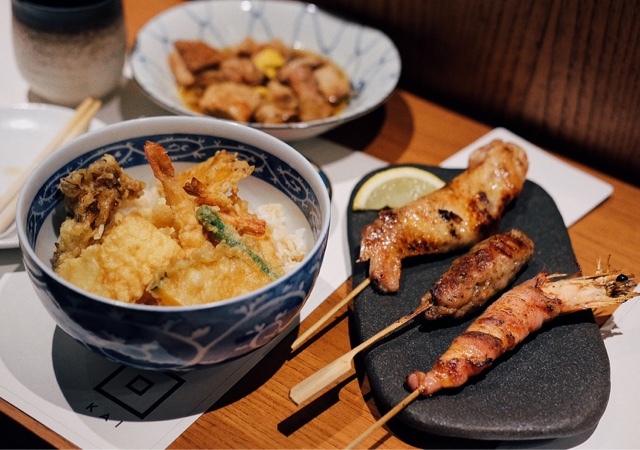 They may be simple, but those yakitori is surely well-seasoned and tasty! Hint: don't forget to close the feast with those fancy cakes from Chef Karen Charlotta. 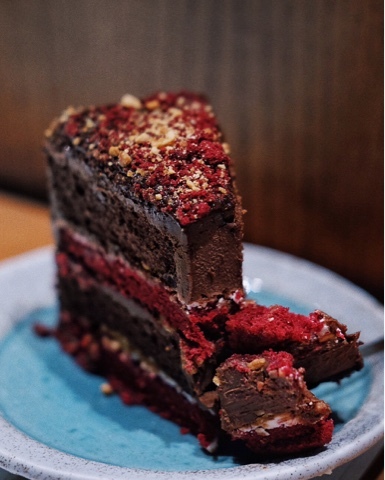 Unique twist of their well-known red velvet with dense dark chocolate is one genius idea! Overall Izakaya Kai is one place you can try to have something different in North Jakarta. Place is pretty, convincing, and food is palatable.